I had a great stay in this hotel. Let me start from the pickup from the airport the driver was so good tan the check in was properly done without wasting our time. The staff was all so kind and helpful,Trustworthy, efficient. Over all I had a good stay in this hotel and feel like home. Will surely recommend this hotel to anyone who goes to delhi. The location is great. It is near New Delhi Train station, but it's off an alley so it doesn't get any street news. I found the staff to be attentive and friendly. I was surprised to see that they wanted to charge 100 Rs/day for wi-fi. I complained about this, since their info says "wi-fi in room" which would imply it is a free feature. They relented and gave it to me gratis. There is a bit of pressure to use their travel services, but this is normal in India. All room features were good. To me it's worth paying a few dollars more for a hotel like this than taking the cheaper Pahara Ganj offerings. In a good vicinity of hotels, The street outside looks beautiful at night with all the neon light of hotels lined up along the street. though it's just a km away from the railway station, the path/directions aren't that simple. and also as i arrived tired, i didn't bother asking for directions and hired an auto to the metro station for rs.40 each time. once you try out walking a few times, it should be easy as i did walk once to the metro station. i ordered an apple juice but the order never arrived. nevermind, they had a pleasant restaurant at the adjacent hotel ajanta which is also owned by them. when trying to locate this hotel, people might return a blank response so try asking for hotel ajanta as it is well known. clean cosy room, bath. they happily allowed me a delay of 1 and a half hour for checkout. the payment i made online initially showed 1300 but after giving my bank details, taxes were added and total turned out to . but that was ok. It was a first time experience to stay in a hotel in Delhi. And wanted to stay in a hotel near the station as had to catch the train early morning. The car with driver was dot there in the airport to pick me and to my surprise was a good Swift Dezire. Good drive and then good room in the hotel. Good food i the night and early morning a good tea. And off to station. Real good location, staff and value for money. walking distance to railway station. beware of dogs. a lot of them. advisable to take rickshaws at night or early morning if you want to go further then railway station. Enjoy roof top view at ajantha hotel next to this hotel, run by the same owner. internet is free at ground floor and roof top cafe. The surrounding area is like chow kit in kl. i felt very welcome, the staff was very friendly and helpfull. the room was nice quality sheets, many tv channels, aircon fan , fridge ... the only negative point is no free wifi .. and not easy to get. Dirty & ripped bedsheets & blankets, Washroom wasn't clean. Room floor, tables and beds were dirty and hair everywhere, fridge & washroom had black fungus and not clean... food & service awful, careless staff. Arrived early at around 8am for checkin. Was advised early checkins incurred an additonal Rs500 charge which was about a third more to what we booked the room for. On paying the early checkin fee, we were told the early checkin room available was the ground floor room next to the front desk. On entering the room, the humidity and heat in room was unbearable. We put the fan on immediately but this did not help. Looked as if room had just been vacated as there were no toilet paper or amenities or towels available. Very disappointing considering we had paid an additional charge. I slept for an hour or so while my partner spoke to a friend also holidaying in India. Our friend saw the room and said it is not worth what we had paid - this was expressed to staff. We were then given another room on the first floor. 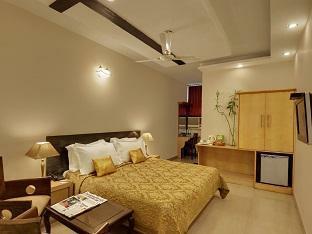 Room was a bit better than the first in terms of cleanliness and availability of towels and amenities. Unfortunatley we ended up leaving the hotel the same day and forfeited our accommodation and decided to head up to northern India to maximise our time here. 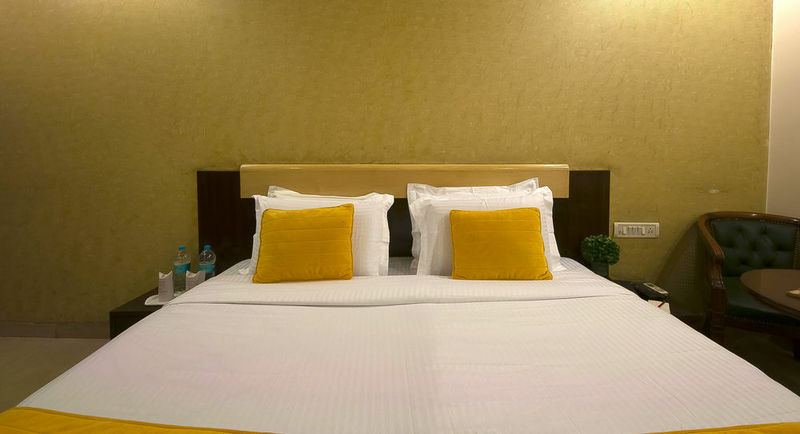 Based on our experience on this particular occasion, we will look at another place to stay next time we are in New Delhi. The location is strategic, close from railway & close to maximum tourists & shopping places. The staff were helpful & prompt. The room size, bed & bathroom are big enough in size to stay with young kids. Only the blanket were looking too old, hot water took some time to come out & didn't find the hair dryer or iron in the room. 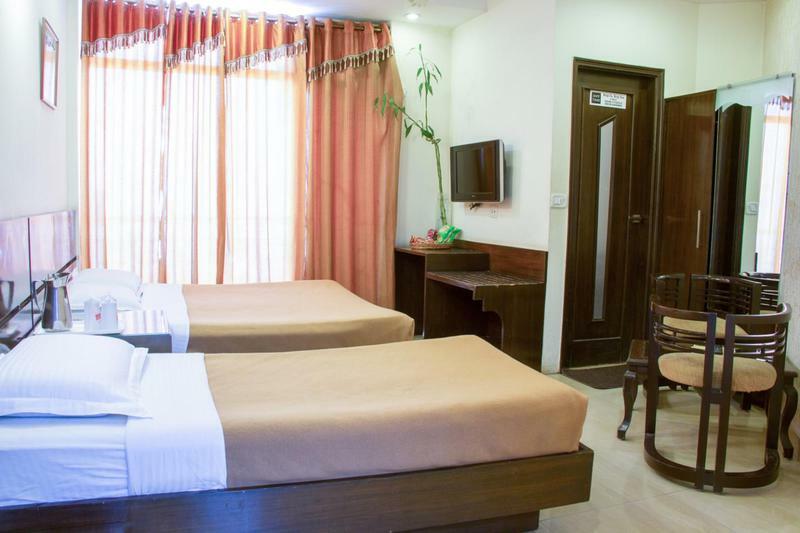 One of the good things about Delhi compared to the other major Indian cities is the abundance of budget hotels. Competition is tough so standards tend to be quite high. I only stayed one night at this hotel, as I was just passing through, however would certainly stay again. The location on arakshan road is a couple of blocks away from the Main Bazaar area and so a bit saner and safer. 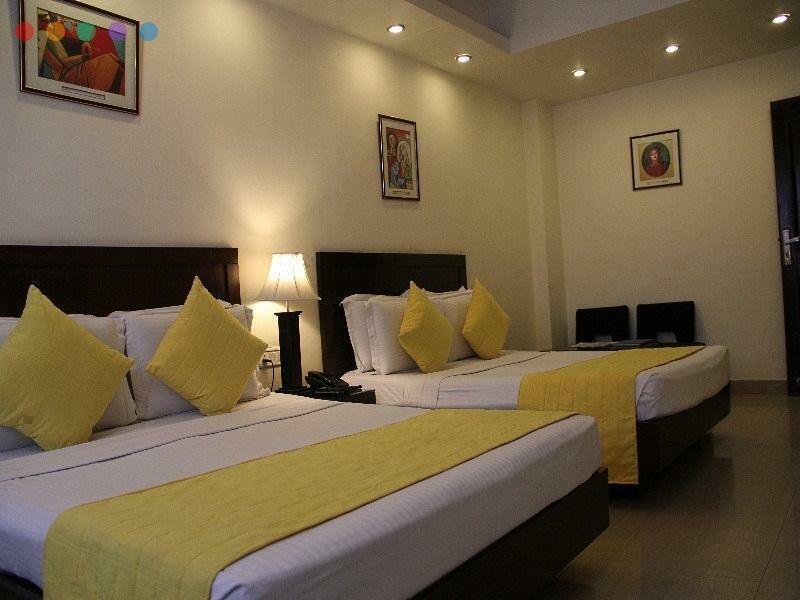 The room is excellent for the price- spacious, clean and modern, with a nice bathroom. The WIFI was not working the day I was there, however apparently usually 3 hours is free, otherwise it is 100 rupees for 24 hours. We had a very nice time at the hotel. 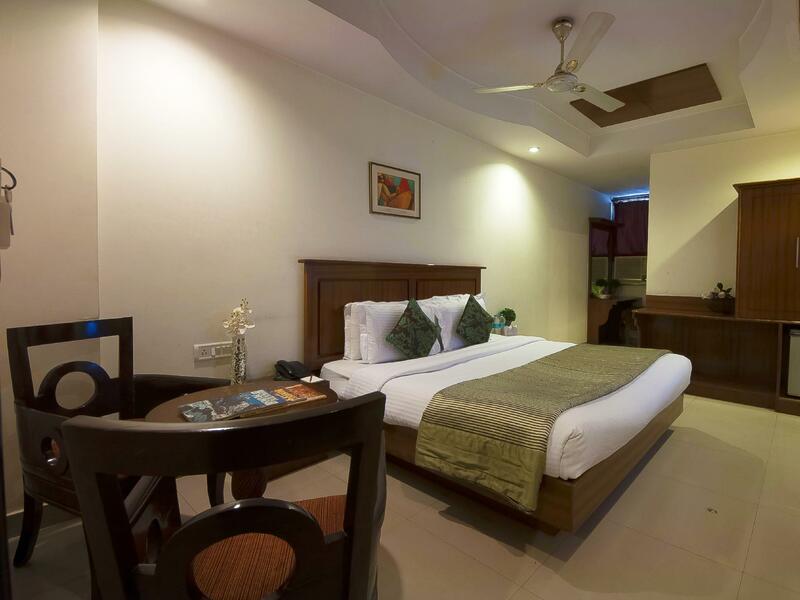 The rooms were clean, staff very friendly and helpful with every request we had. Plus it was very easy to find. It is in the center, however hidden in a back street so it wasn't that loud. I would definitely stay there again. the hotel staff was very kind and friendly. the hotel was basic, but had a fridge which is nice. the main problem is it is in a very noisy section of town. between the temple next door chanting late into the night, dogs barking, and construction going on, it made it hard to sleep. this may not be so bad if your there in the summer when you need the ac which will drown out some of the noise. the airport pickup was nice which is why we stayed there. The hotel is ok with standard size rooms. The rooms are clean and well taken care of. The air conditioning was of an old Russian make and extremely noisy, nothing for a light sleeper. The staff is very friendly and try to help in every way. They managed to get a writing table with a good chair into my room. The traffic in India is very hectic so walking for any longer distance in the area around the hotel is not recommended. was quite apprehensive due to certain reviews before going but nothing like that was true. it was a reliable hotel, good service they even picked us up from the airport and railway station and certainly a clean place to stay. a really comfortable place for the price we paid and no qualms about staying there again. thank you. chose this hotel as a friend had stayed here before and then moved out as they don’t expect long term guests. this visitor friendly place is incredible. the staff was very well uniform & the service was outstanding. got a nice room with a scene deck before proceeding to agra. went around to the main bazaar which was very interesting as well as a daunting experience as there were no pathways - one straight huge road & lots o shops. 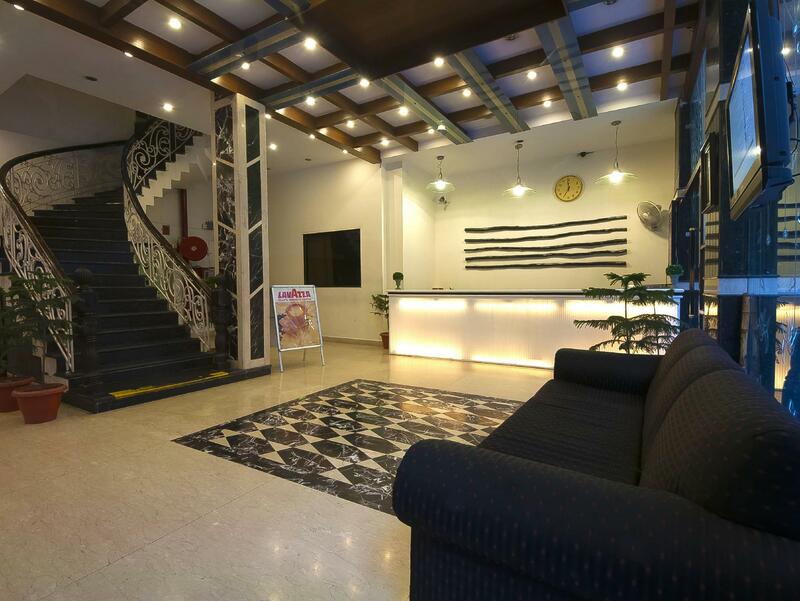 ajanta is a well respected & trusted hotel. 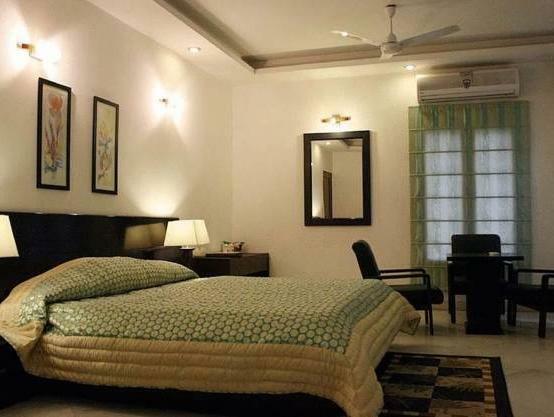 feel safe staying some of their newly furnished rooms offer timeless elegance & up to the moment convenience & comfort. สถานีรถไฟ New Delhi - ระยะ 0.6 กม.